A great supporter of SEFSD, let’s support them! Please call and check their stock before you buy online. 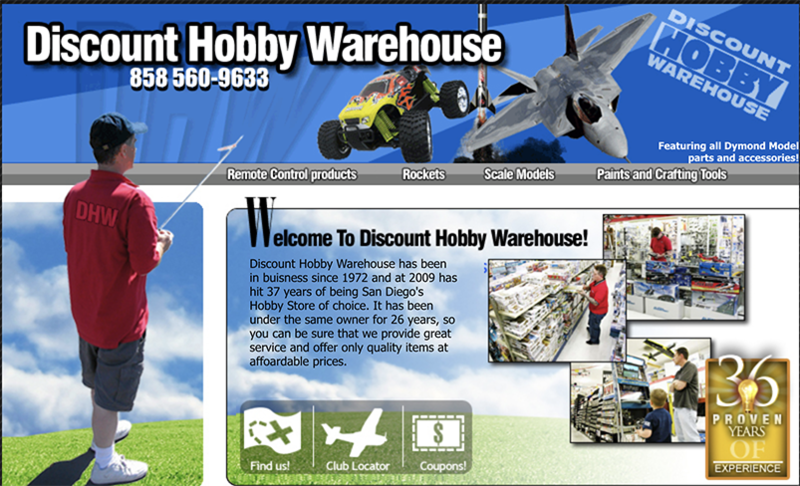 Huge stores with radio control & model cars, planes & helicopters, plus rockets & crafting tools. Lots of plastic models. Click HERE for inside photos of the Kearny Mesa store. Click HERE for inside photos of the San Marcos store.